INRAD series M-F cable for 3.5mm stereo mic jack FlexRadio 6400/6600 transceivers. 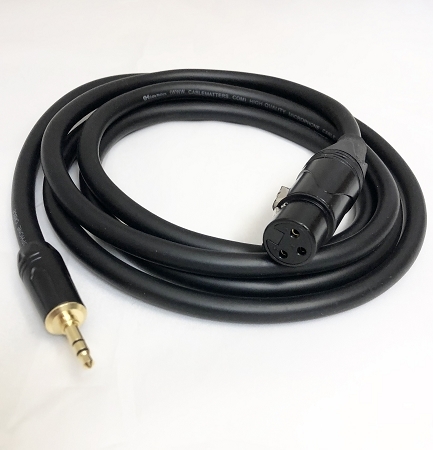 Use this cable instead of the cable supplied with INRAD M-series microphones when the microphone is not in use with the INRAD DMS-1 PTT base. XLR 3 pin connector for microphone, 3.5mm stereo TRS jack for transceiver. For PTT, connect a hand or footswitch directly to the FlexRadio 6400/6600 RCA phono PTT jack on the rear of the radio.